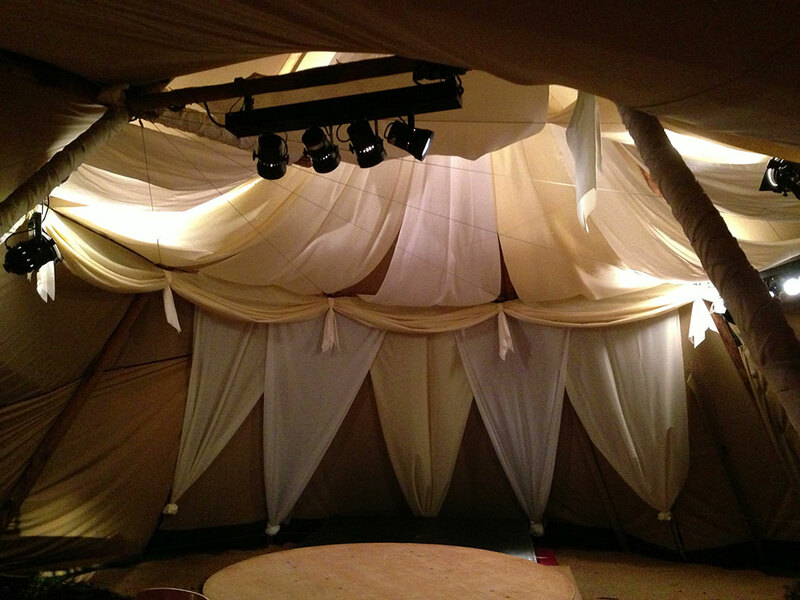 We dressed one of The Stunning Tent Company’s Giant Hat Tipi’s today and it looked rather gorgeous, don’t you think? If you’re planning a wedding or an event and looking for something more than a traditional marquee we would suggest you look at the range on offer from the Stunning Tent Company. We used beautiful white, ivory and champagne silks to dress the blessing stage and canopy above the bride and groom. 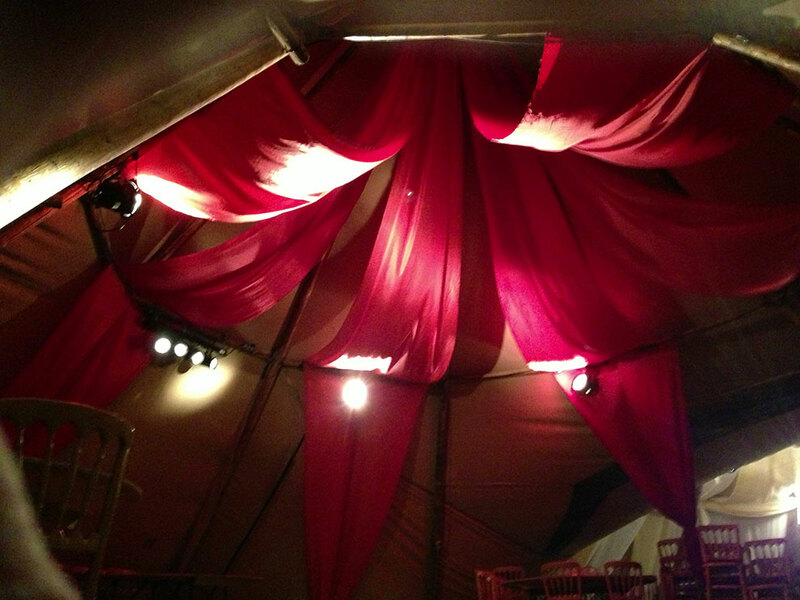 In the roof of the other two giant hats we used an array of rich red fabrics to embellish the tent and enhance the Persian style of the wedding.